Whether you want new tyres or your winter tyres fitted we can help out. 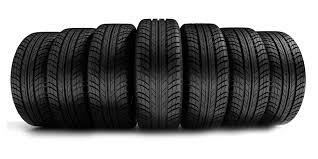 Harlaw Garage can supply most makes of tyres from budget friendly to premium brand tyres- All season, winter, summer, rain and 4x4 tyres are available at great prices. All our prices are fully inclusive of a new tyre, new valve, balancing and disposal of your old tyres so no hidden costs for you to worry about. We can even fit tyres you have already purchased. (Although we always recommend getting a quote from us first). Give us a call and find out on 01467 625344-remember we might need your tyre size-the info is on the side wall of the tyre. 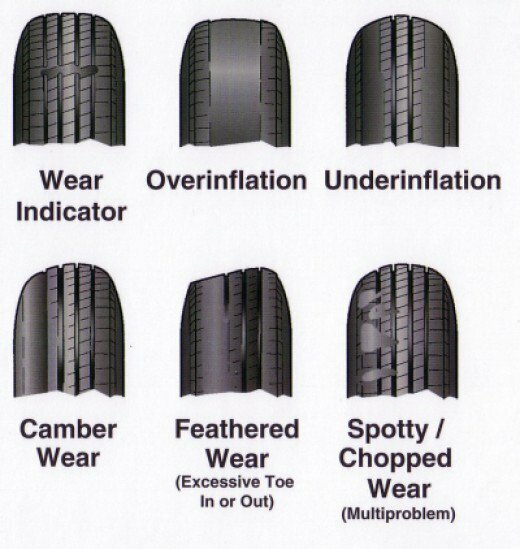 Some examples of what can happen to your tyres if not looked after properly. It is certainly worth taking a few minutes on a regular basis to check the pressures are correct, the tread is wearing evenly and there are no tears, cuts or bulges in the sidewalls. Tracking, on your front tyres especially, is important too.